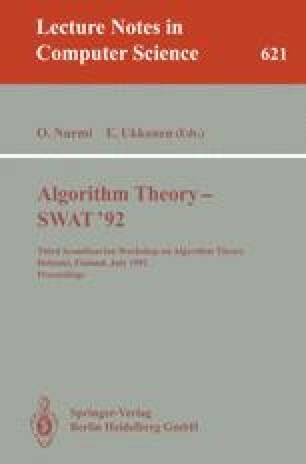 We consider the list update problem under a sequence of requests of sets of items, and for this problem we investigate the competitiveness features of two algorithms. We prove that algorithm Move-Set-to-Front (MSF) is (1+βs)-competitive, where β is the size of the largest requested set, and that a lower bound is roughly 2. We provide an upper bound to the MSF competitive ratio by relating it to the size n of the list, obtaining that the algorithm is (1+n/4)-competitive in general, and O(√n)-competitive if we add a not too restrictive constraint to the sizes of the requested sets. We are in touch with two more problems. The first one generalizes the list update problem under a sequence of requests of sets by considering weighted lists, where a weight representing a visiting cost is associated with each item. For this case we give a competitiveness result as well. The second one is a variant, where the list is searched to retrieve whichever element of the currently requested set (the first that can be found in the list). For this problem we provide negative results. Work partially supported by the ESPRIT II Basic Research Actions Program Project no. 3075 “ALCOM”, and by the Italian MURST National Project “Algoritmi, Modelli di Calcolo e Strutture Informative”.